Earth Hour is one such opportunity. Did you know that with just a bit of attention you can do something for the Earth every day? We’ve collected a few simple but highly effective green methods that you can apply every day, and we’ll also tell you what Danubius Goes Green stands for. Since 2006, on the evening of the last Saturday of every March, non-essential lighting is switched off all over the globe for one hour and all electrical devices are unplugged. Sixty minutes are devoted to the Earth in numerous countries around the world, with cities and homes going dark, decorative lighting switched off, and the importance of conscious environmental protection is highlighted through various exciting challenges. Earth Hour was launched in 2006 in Sydney at the initiation of WWF Australia, by switching off the city’s lights. From a local initiative, the event has grown to become a worldwide movement mobilising more than one billion people over the past 11 years. In 2017, Earth Hour was celebrated in 178 countries, and the Earth Hour logo symbolising the 60 minutes was supplemented with a ‘plus’ sign, encouraging everyone to go beyond the 60 minutes and think of their environment on all other days of the year, as our lives are surrounded by excessive and often unnecessary energy use. 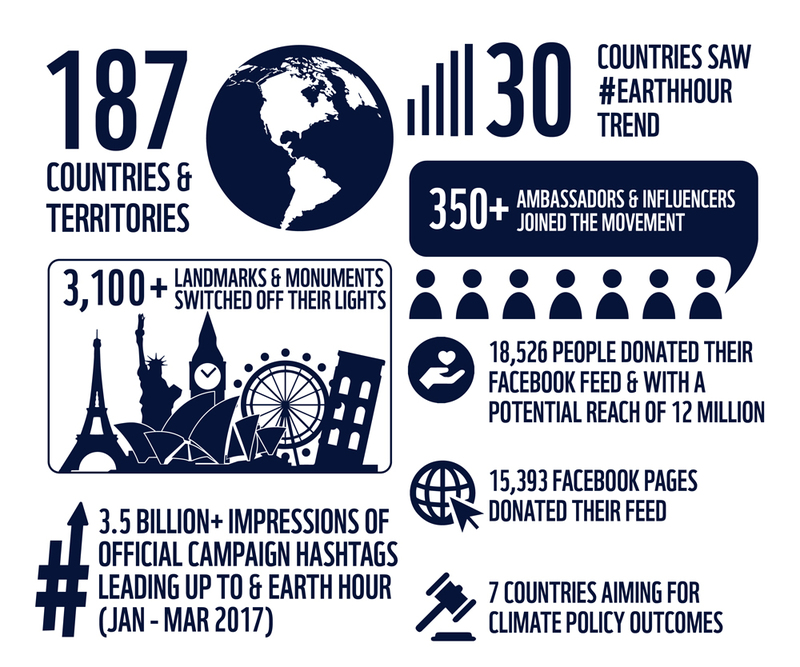 In addition to the 60-minute symbolic lights-out, on 24 March 2018 the initiative will also call attention to natural values, communicating the message: “Connect2Earth”. The symbol embodying this message is one of the most well-known representations of connecting today: the Wi-Fi symbol. This year, Earth Hour focuses on preserving our planet’s biodiversity, as well as on ensuring we notice and protect our own environment, and that we contribute to its healthy functioning. Be it forests or rivers, seas or water habitats, it is of the utmost importance for us humans that these habitats are preserved in their natural state, safeguarding the rich flora and fauna that are continuously threatened by grave dangers. 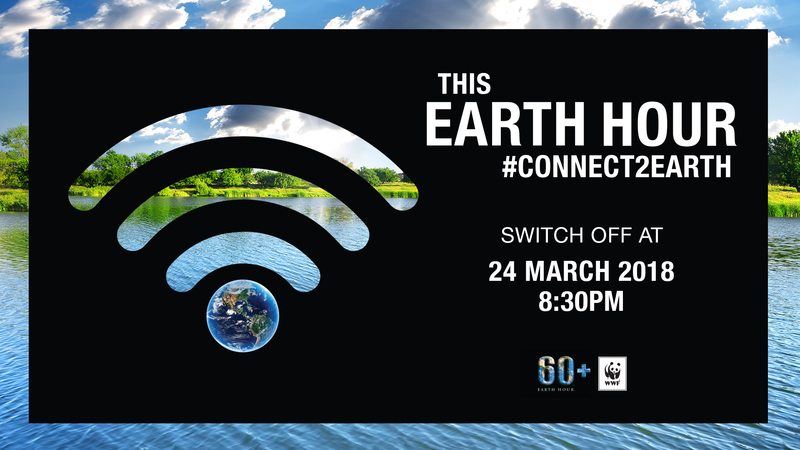 Switch off and Connect2Earth – in Hungary too! With the involvement of WWF Hungary, we have been participating in this worldwide initiative for 10 years, since 2008. In recent years, the programme’s Hungarian host has linked special attractions and exciting initiatives to the international green event held annually at the end of March. In 2013, as part of a large-scale candle collection promotion, a 5-metre high giant wax candle provided light for the 60 minutes of darkness. In 2015, as part of the Great Greenification Project, volunteers cleaned public areas, while in 2016, in addition to turning off the lights, participants undertook resolutions to plant trees, clean water, compost, hold meat-free days or become car-free. Switch off! Take part in Earth Hour: switch off the lights and ask your friends to do the same. Protect the forests! Undertake not to print anything for a week and only use your documents online. Drink smartly! Undertake not to buy any PET bottled products for an entire week, drinking only tap water instead. With each meat-free day, you can reduce the Earth’s carbon footprint. Drink tea instead of PET bottled waters and soft drinks. Don’t have the heating on if your window’s open. Use water-saving perlators on your taps. Use natural cleaning agents instead of chemical detergents. +1. Be environmentally conscious even when staying at a hotel. 3-in-1 BATHROOM: In order to reduce the volume of waste from single-use soap, shampoo and shower gel packaging, more and more of our hotel rooms come equipped with liquid soap dispensers. TOWEL CHANGES: Many tons of towels are washed unnecessarily every day around the world. 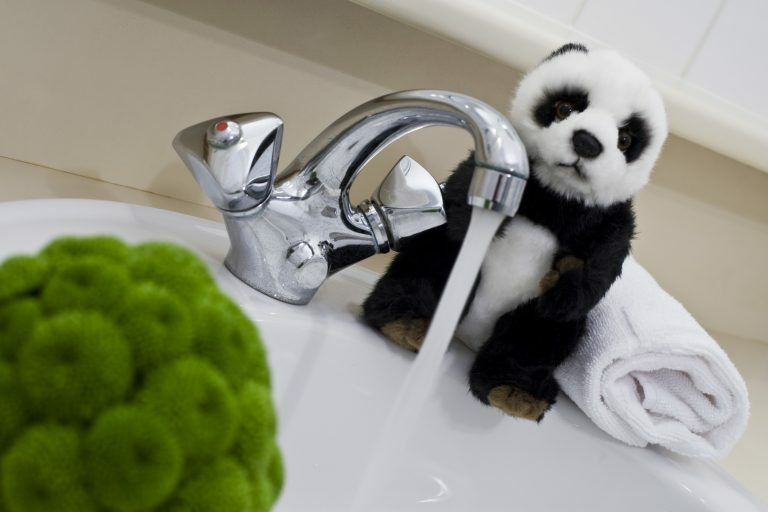 Guests at our hotels have the opportunity to do something against environmental pollution. A towel thrown on the floor clearly indicates that the guest would like to have it replaced, but if they wish to go on using it, they can simply hang it back on the rack. WASTE: More and more of our hotels apply selective waste collection, which is why we also ask our guests to help us in this endeavour. We ask that glass and plastic waste and newspapers be deposited separately next to the waste bin in the room, in order for these to be subsequently placed in the appropriate selective containers. ELECTRICITY: Our guests can use the multifunctional key-card received at check-in to power lamps, the air conditioner and the television. Please don’t forget to turn off the lights when leaving your room! AIR CONDITIONING: Most of our rooms are air-conditioned. Our guests can turn on the air conditioning and set the desired temperature by inserting the key-cards into the key-card slot next to the door. 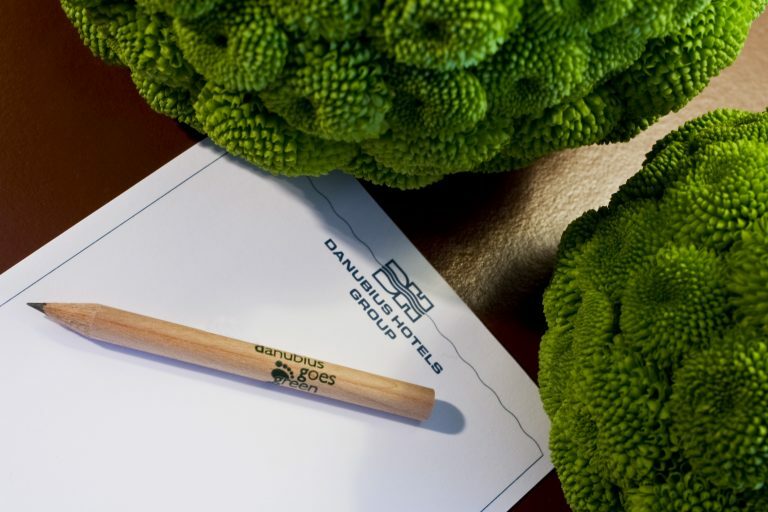 For Earth Hour on 24 March, our hotels again have the opportunity to prove Danubius’ commitment to environmental protection. The hotels have numerous initiatives planned for Earth Hour. On Saturday between 8.30pm and 9.30pm, the hotels’ reception and lobby area will go dark, with restaurant guests offered dinner by candlelight. Other hotel activities are a testament to the creativity of our staff: in the wellness hotels, guests can relax at the bath areas by candlelight; at Hilton Budapest, guests are served muffins with a small candle as decoration, and there will even be some flaming drink specialities that can be purchased at the bar. By writing their name, city and country on the globe placed in the lobby, hotel guests can symbolically join this worldwide initiative. At the restaurant of Danubius Hotel Helia, patrons can dine by the light of special floating candles and will also be treated to a glass of the house wine. Reflecting our commitment to nature and what it has to offer, our buffet selection includes artisanal cheeses and organic ingredients.